Stinging nettles are famously difficult to deal with. They're named stinging nettles for a reason. That's because stinging nettles don't just scratch, they genuinely sting. Some people have more of a reaction that others, but they'll leave a rash on pretty much any human skin they touch. Luckily, they are easy to tame with a quick dip in boiling water, also known as blanching. Bring a large pot filled with about 2 quarts of water to a boil and add at least 1 tablespoon of salt. The water should taste as salty as the sea—they'll impart flavor and help the nettles retain their crazily deep green color. While the water comes to a boil, prepare a large bowl of ice water. Dump in whatever big tangle of nettles you have to contend with and stir them down into the boiling water. If you brought them home in a bag, dump them directly from the bag into the water to avoid having to don gloves. Use a slotted spoon or tongs to lift the nettles out of the water as soon as they wilt, about 30 seconds or so, or drain them directly into a colander. Dunk the nettles into the ice water and swish them around until they're fully cooled off. Cooling them wholly and immediately will help them stay green instead of turning gray. Drain them again. Use your hands to squeeze as much remaining liquid from the nettles as you can. (That first handful a bit difficult to grab—you may find yourself wondering if they can be de-stung so quickly? Yes, they can!) Work with one handful at a time and repeat with the remaining nettles, as needed. 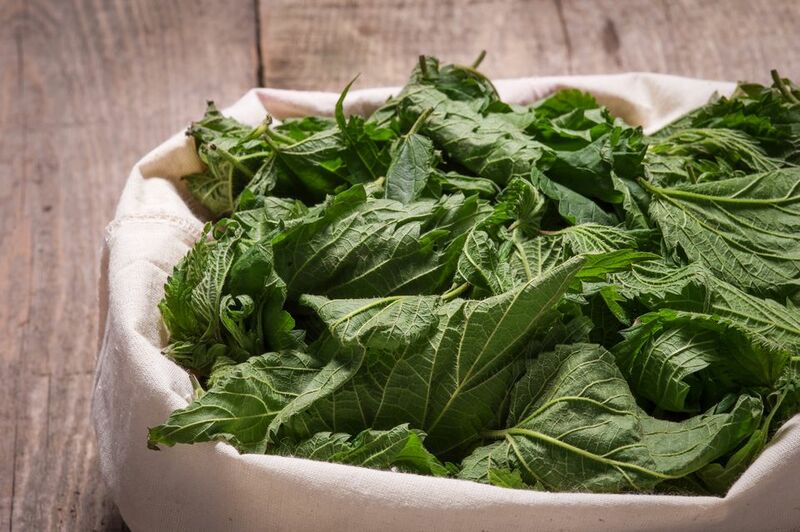 If you want to be super serious, take these nettles, lay them on several layers of paper towels or a clean kitchen towel, and roll them up to squeeze as much remaining water as there may be in them. Blanching nettles this way makes them easier to handle and much easier to store. Note that there's no reason to try and clean the nettles before blanching them (how would that work, anyway?). Blanching, especially when you lift them out of the pot instead of dumping them into a colander, cleans grit and dirt out of nettles as part of the process. For particularly gritty nettles, continue rinsing and draining until the water runs clear. Once blanched, stinging nettles can be stored in an air-tight container and kept in the fridge for up to 3 days. Or, store them in an air-tight container or resealable plastic bag and freeze them for up to 6 months. Of course, you can also cook them right away! When you have blanched nettles to use, consider whipping up a batch of Stinging Nettles Soup or use them to top some homemade nettles pizza (top with some cheese and olive oil, too). Another favorite is nettle pesto (use nettles in place of the basil in your favorite pesto recipe), to toss with hot pasta or spread on sandwiches.